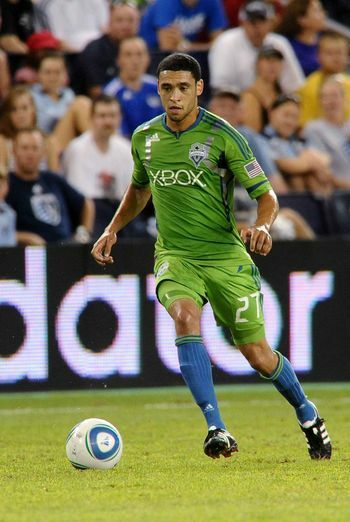 Lamar Neagle has broken onto the scene this season in Major League Soccer. 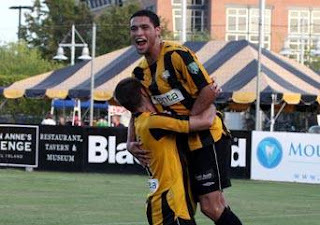 After taking time to develop in the USL-2 with the Charleston Battery, Neagle returned to his home state to play for the Seattle Sounders. This season has become a career year for the winger/forward. We checked in with Lamar to ask about everything from the Open Cup to the locker room antics. Read on and check it out. MLS Reserves: You’ve had a stellar season this year since returning to the Sounders. What would you say the success this year is attributed to? MLS Reserves: You’re essentially playing in your hometown, how much does that help you? MLS Reserves: Does it mean anything special to you to be from the area and see Seattle having such a passionate fanbase? MLS Reserves: One thing about the Sounders this year in particular is their success with not only the Open Cup but also the Champions League. What does this team have that makes them so successful in these tournament? MLS Reserves: When you’re training, what role does Sigi Schmid have you playing? What is he putting in your brain when you train? MLS Reserves: Is there anyone on the team that has taken you under their wing or that you might pay special attention to? MLS Reserves: You netted a hat trick against the Columbus Crew. Can you talk about that day now that it’s had time to sink in? How did that feel? MLS Reserves: We’ve heard that Kasey Keller is a prankster on the team. I’m curious if he’s played any rookie pranks on you or if you’ve seen any good ones done. All in good fun. MLS Reserves: When you look at your locker room, what about it is so special? It seems like this year, more than any other for Seattle, that there is a bond between players. Is that true? MLS Reserves: Looking ahead to the U.S Open Cup Final against Chicago, what’s going through your mind personally? MLS Reserves: Do you guys feel any pressure to win three years in a row? MLS Reserves: We cant thank you enough for your time, it’s been a pleasure. What really stood out to me about Lamar was how professional and responsive he was for being such a young player. His answers were well thought out and it was clear how much he cared about his performances. Keep an eye on this one folks! Great interview with a great guy. 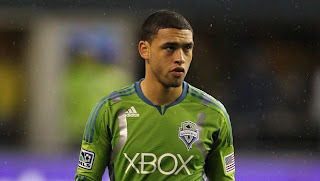 It's been a pleasure watching Neagle mature in his role with the Sounders. He's easily one of the best 12th men in all of MLS.